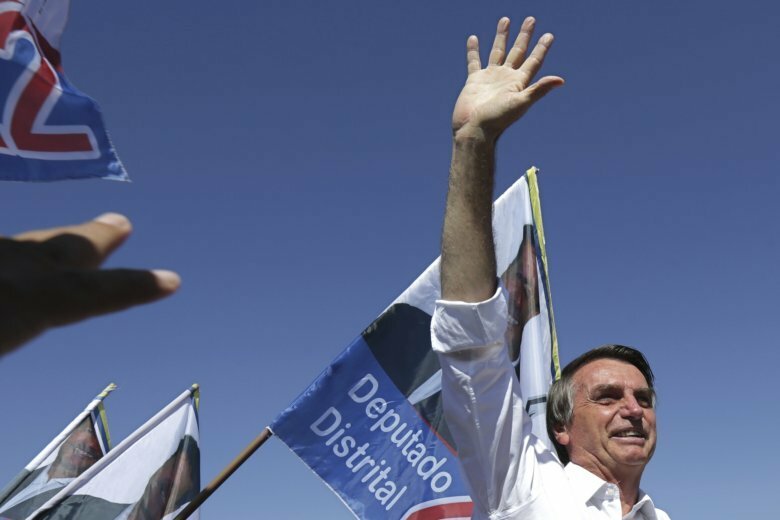 SAO PAULO (AP) — The key economic adviser to Brazil’s leading presidential candidate cancelled two campaign events on Friday amid a disagreement with his boss. Market-friendly Paulo Guedes, the main adviser of far-right candidate Jair Bolsonaro, canceled events at the American Chamber of Commerce and broker XP Investimentos in Sao Paulo. Bolsonaro has said that Guedes will be Brazil’s economy minister if he wins. He leads polls at almost 30 percent support for the Oct. 7 vote, but faces a dead heat against any other opponent in a likely runoff weeks later. The cancelations come two days after Guedes defended reviving an unpopular tax on bank transfers. The presidential candidate quickly came out to say such a measure would not be adopted. Bolsonaro, a former army captain, is recovering in a hospital after being stabbed earlier this month while campaigning. Later Friday, in his first interview since the incident, he said Guedes is still in his campaign. “Free market and less taxes is my motto in the economy,” he wrote. He also said he hopes to leave the hospital by the end of the month. His son Flavio denied that Bolsonaro would adopt income tax measures reportedly suggested by Guedes. But in the Folha interview the candidate didn’t rule them out. On Wednesday, Brazilian media said Guedes told a group of investors that he planned to reduce income taxes on the wealthy to 20 percent from the current 27.5 percent. He also reportedly said he would have Brazilians making less than $500 a month start paying 20 percent of income tax.